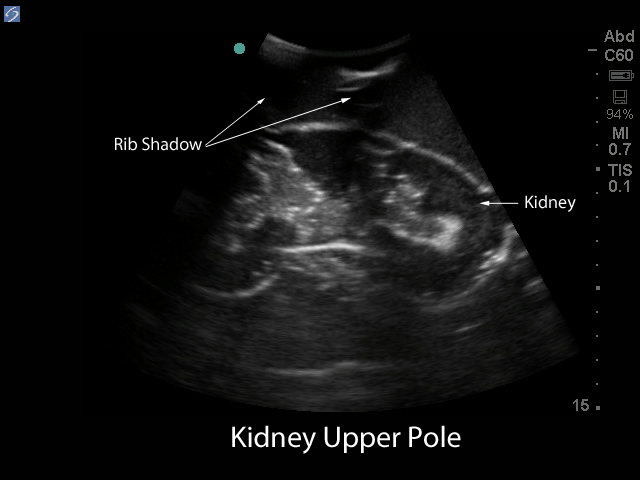 Our renal biopsy ultrasound training model is excellent for assisting clinicians in gaining proficiency in the use of ultrasound to guide percutaneous kidney biopsy procedures. Gain ultrasound guided renal biopsy procedural proficiencies and competency using our extremely realistic and durable ultrasound training models. Blue Phantoms percutaneous renal biopsy ultrasound training model allows for the repeated needle biopsy using core needle biopsy or needle aspiration techniques. 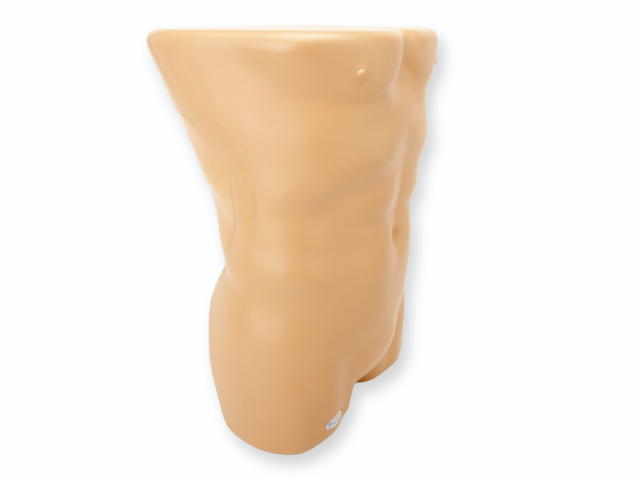 The model offers an anatomically correct adult male torso with an ultrasound tissue module containing skin, ribs, and right kidney with surrounding tissue. The kidney internal and external architecture is superb in its realism and imaging characteristics and contains the renal cortex, renal medulla and major and minor calyx. Constructed using Blue Phantom simulated tissue which match the acoustic characteristics of real human tissue so when you use your ultrasound system on our training models, you experience the same quality you expect from imaging patients in a clinical environment. Core needle biopsy procedures. Clinicians using the ultrasound guided renal biopsy model for core needle biopsy are expecting to remove tissue samples from the model. Removing a core tissue sample leaves an air filled void in the kidney the size of the core sample. Users can expect to remove core biopsy samples 30 times before the kidney requires replacement (the kidney is easily removed so that the unused upper kidney can be rotated to assume the lower pole position). Needle Aspiration Procedures. Clinicians using the ultrasound guided renal biopsy model for needle aspiration procedures can expect tremendous utility while utilizing 18 21 gauge needles. 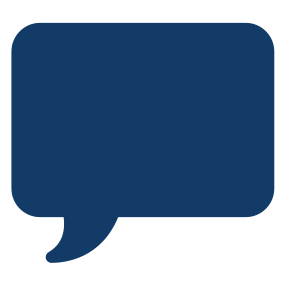 Blue Phantoms patented self-healing ultra-durable tissue allows repeated use. 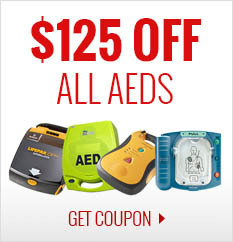 Users will experience the best healing performance when they utilize sharp, unbent needles. 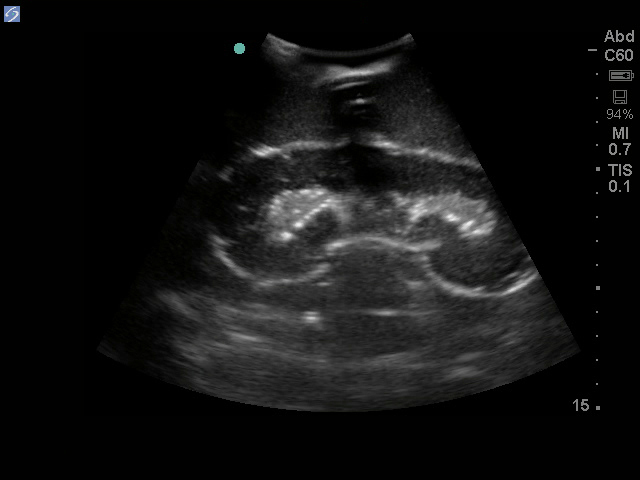 Ultrasound imaging and procedural skills include; using ultrasound system controls, transducer positioning and movement, recognition of kidney anatomy, the appearance of ribs and avoiding them during renal biopsy, using ultrasound to target the appropriate location for renal biopsy, and performing an ultrasound guided renal biopsy procedure. This ultrasound hands-on training model will perform well using any ultrasound imaging system configured with the appropriate renal biopsy transducer. 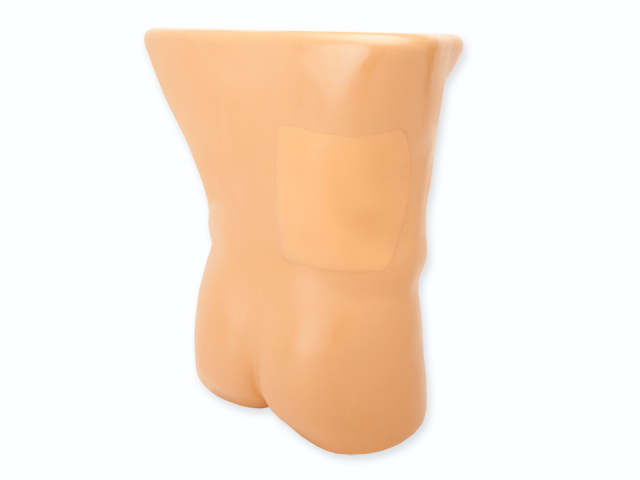 This ultrasound phantom model is excellent for specialties including nephrology, interventional radiology, surgery, surgical training programs, ultrasound training programs, simulation centers, surgical skills centers, medical education facilities, renal biopsy device manufacturers and ultrasound manufacturers for ultrasound education and demonstrations.